The week started on a positive note for both Sensex and Nifty with both gaining almost half a percent at the end of the day’s trading. Ahead of the earnings season, sustained buying by the investors kept the market positive. At the end of the day, the 30-share BSE Sensex was up by 161.57 points at 33,788.54 while the 50-share NSE Nifty gained 47.75 points to conclude at 10,379.35. “The Nifty is now in a two week old pullback that has completed its bare minimum requirement. The bounce is looking to stretch beyond the hurdle zone of 10300-10350 & is nearing the 38.2% retracement of the previous fall. The recent history, however, shows that any attempt to form a minor degree pullback fizzled out near the crucial daily moving averages. Going by the same structure, the transgression by the bulls is likely to be countered by a strong reaction by the bears”, said Gaurav RatnaParkhi- Senior Technical Analyst of Sharekhan. The trading session ended with Axis Bank, Mahindra and Mahindra, ITC, BPCL, Hindustan Petroleum, Hindalco and Indian Oil Corporation Limited being the top gainers while Zee Entertainment Limited, Lupin Limited, Tata Motors, Infosys and Bharti Airtel were amongst the major losers. Sectorally technology, realty, telecom, information technology and health care ended on a negative note while rest all sectors ended green. Energy, Oil and Gas, Consumer goods and Consumer durables were amongst the top performing sectors for the day. “Market is showing lot of resilience for past few days, despite weakness in global markets. Main driver for this up move has been softening of bond yields and better monthly auto numbers. We expect our markets to out-perform in anticipation of better numbers this quarter particularly sectors like auto, auto ancillary, select private banks and NBFCs”, said Hemang Jani, Head- Advisory of Share Khan. In broader markets, BSE Midcap index closed 0.16 percent up at 16,622.39 and the Smallcap index closed 0.38 percent high at 17,951.40. While the major Asian markets closed green, world markets showed mixed colours. Nikkei, Hang Seng and Shanghai Composite rose by 0.51, 1.29 and 0.23 percent respectively. 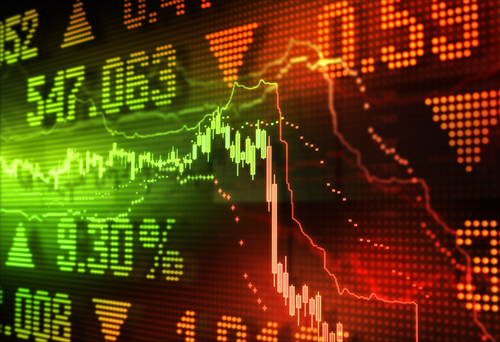 At the time of writing this piece, FTSE 100 was down by 0.12 percent while DAX was up by 0.55% The S&P 500 of the US had closed 2.19% down in the previous week. Meanwhile, in the commodity section gold lost 0.06% to close on Rs 30,674 while crude oil prices rose by 0.89% to conclude at Rs. 4,066. The 10 years benchmark G sec softened to close at 7.2256.